Why is thinking about what we want to do not enough? You may be thinking: “I don’t have time to write goals, I don’t know how to write goals, what if I write it and I don’t do it, then I’ll be a failure, I can’t add one more thing to do to my life, it won’t help anyway” . . . notice how the mind spins, and chatters incessantly. This in essence is why goals, affirmations, mantras work. It focuses the inner chatter, the inner spin in a positive direction. We become mindful or aware of our mind, our thoughts and then we can change our responses, change our actions. Yes – an oversimplification. Writing the goals and action steps down is making a commitment with yourself to focus your actions, your choices, your thoughts. All of a sudden there is time. A reality I learned in my 20’s – I have time to do everything I WANT TO DO! 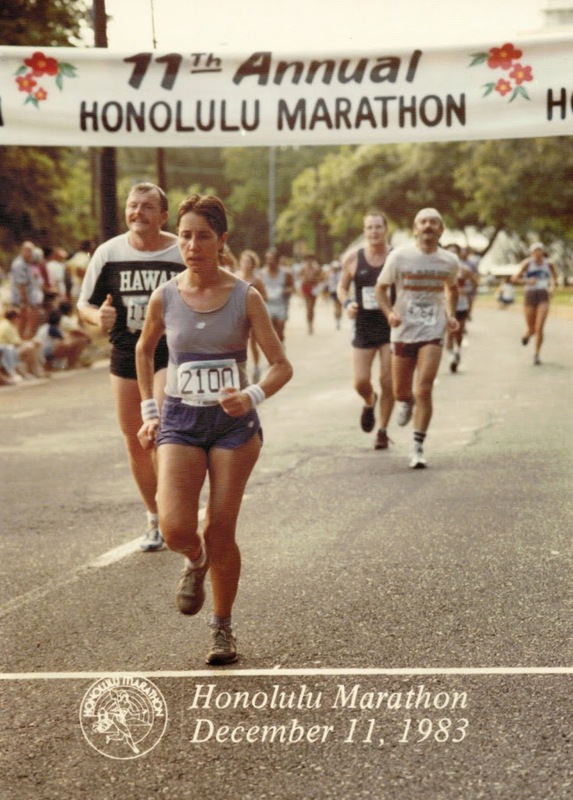 So I can’t really tell you how I decided, however at some point I made the choice and set the goal to run the Honolulu marathon in December. My rationale – if I was going to run that long it needed to be a beautiful course and somewhere I hadn’t been before. All of a sudden I was up in the dark and outside running every morning. Friends helped with training – longer runs, sprint/interval training, mind focus, knee injury and logging in 60 miles/week. The result, I ran the marathon and finished. What I learned – setting a goal worked. Upon reflection I realized that finishing the goal was not where I lived life. I lived in the process of reaching the goal, in the learning – in focusing my mind, in accepting help and encouragement, in knowing that I could do my best. The goal is not what you do; it’s where you want to be. The steps, the actions, the thoughts are how you reach the goal. So write the over-arching goal and then write monthly steps to get there. Make the goal as measurable as possible . . . Example: “eating healthier” is vague, so start with “decreasing sodas or eliminate sodas and increasing fresh fruits and vegetables”. Then write at least three steps for each month. 1. Decrease sodas to one 12 oz. can every other day or reduce to one can/week, or eliminate sodas from daily intake. 3. Taste one new vegetable and fruit each week. Once you’re comfortable and confident with your new eating choices, write a new goal. 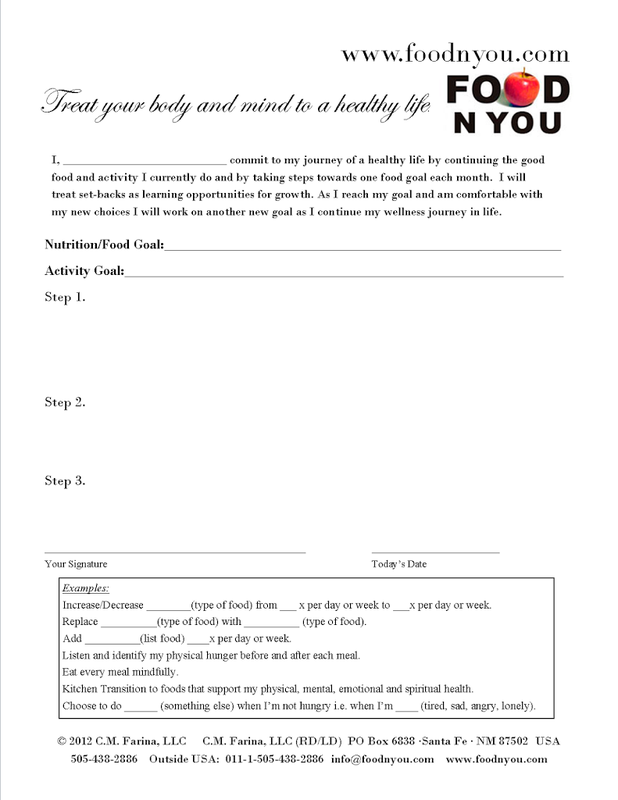 Use this form to help you get started on your wellness journey. Next post: BEGIN WHERE YOU ARE TODAY . . .